Nothing can be more frustrating than having to use windshield wiper blades that aren’t working properly. Blades that don’t remove rain or snow from the windshield or smear it, or blades that make an annoying squeaking sound as they work should be replaced as soon as possible. If you don’t have the time or don’t want to spend the money to take your car to the dealer to get replacement wiper blades, you can purchase and install new blades yourself. By doing some initial research, you can be sure you’ll be buying the right windshield wiper blades for your car. Car owners who have used and reviewed the following wiper blades rank them as the best choices you can make when it’s time to buy new windshield wiper blades. AERO All Season Beam Windshield Wiper Blades feature an aerodynamic design and a specially manufactured rubber material that avoids many of the problems you’ll find in traditional or even other premium windshield wiper blades. 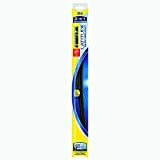 The AERO All Season Blades, which come as a package of two blades for the driver and passenger sides of the windshield, retail for $24.95 but can often be found for up to 25 percent less through online ordering. The blades are different lengths according to the requirements of your specific automobile, but every blade is four inches wide by four inches high. The shipping weight of the blades is eleven ounces. AERO advertises that its blades are OEM (original equipment manufacturer) products, which means that the blades’ quality and fit are guaranteed. No need to worry that the product you’ve ordered won’t work with your car when you receive it. The AERO All Season Beam blades are designed to do their work without dragging across the windshield or lifting off of it when it’s particularly windy. The blades also bring a significant reduction in noise during their operation. In cold inclement weather, snow and ice don’t build up on the blades, causing smearing that makes it difficult for you to safely drive. One of the best features of the AERO All Season Beam Blades is the six-month warranty, among the longest warranties among all windshield wiper blades. The blades can handle temperatures from 40 degrees below zero to 155 degrees of heat without breaking, warping or malfunctioning. Car owners can expect the blades to stand up to one million times of wiping without breaking down. The AERO All Season Beam Blades are made of a top-notch rubber material with Teflon coating from DuPont. The hooks that attach the blades to the wiper are J-hooks, and are direct OEM replacements so are guaranteed to fit the blade arms. 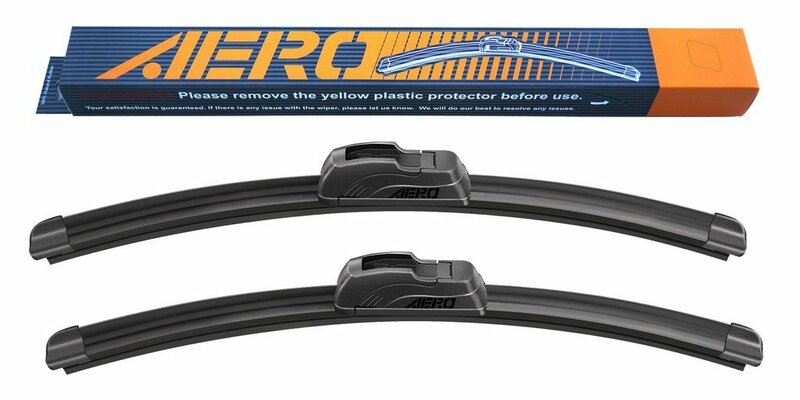 About four out every five customers who have purchased AERO All Season Beam Windshield Wiper Blades have reported that they have been happy with the product. The design of the blade, which keeps it in contact with the windshield much more efficiently than traditional wipers is one of the primary reasons reviewers cite as the reason they chose the AERO All Season Wiper Blades. Whether reviewers lived in northern climates and were forced to deal with ice and snow, or resided in southern states such as Florida that regularly see torrential downpours, they reported that the blades performed as advertised, with little to no chattering, dragging or streaking. Ease of installation is another benefit cited as a selling point for the AERO blades. Reviewers who purchased the All Season Beam Blades reported that, in general, the wiper blades could be installed in five minutes or less. The blades are designed to snap closed and then stay put with the help of a clip that is part of the beam construction. Drivers don’t need to worry that the wiper blades will come off the arm of the windshield wiper while it’s in use. However, some reviewers did report that they had trouble installing the AERO All Season Beam Blades correctly. The instructions provided with the product were deemed inadequate, according to frustrated customers who said they were never able to put the wipers on their vehicles correctly, resulting in poor performance. Other reviewers reported that the wiper blades shredded unusually quickly, in a couple of months or even in a few weeks, most often in areas where snow and ice are common. Finally, reviewers reported that the AERO All Season Beam Blades they purchased didn’t fit their vehicles properly. Overall, however, most customers who have bought AERO All Season Beam Blades have been happy with their purchase. The company’s customer service is reported to be very helpful for anyone who has had problems with the blades. For the price charged for AERO All Season Beam Blades, most agree these blades are a good buy. The Bosch Original Equipment Wiper Blade is touted as a wiper blade that makes use of specially designed steel springs which helps provides tension memory that provides uniform pressure along the entire length of the windshield wiper blade. Thus, the Bosch Original Equipment Replacement Wiper Blade lasts about 20 percent longer than similar high-performance windshield wiper blades. The Bosch Original Equipment Wiper Blade, which comes as a set of two blades, sells for $33.48 retail, but can be purchased for $25.59 online at a savings of almost 25 percent. The wiper blade is 27.5 inches long by 1.5 inches wide and 2.1 inches high. It weighs a negligible quarter of an ounce, making it one of the lightest windshield wiper blades on the market. One of the premier features of the Bosch Original Equipment Wiper Blade is its aerodynamic wind spoiler design. This design forces the Bosch Wiper Blade down onto the windshield, ensuring it won’t catch the wind as it works and thus preventing the blade from lifting up and performing poorly at removing rain, snow or ice. An additional flex feature of the wiper blade, which uses dual rubber technology, helps prevent ozone damage and hardening of the wiper blade, something that can be a problem for other windshield wiper blades. The Bosch Wiper Blade also boasts a weather shield connector system which is installed on the wiper blade arm to prevent snow and ice from building up on the arm and causing damage. Reviewers who have purchased the Bosch Original Equipment Wiper Blade have overwhelmingly expressed satisfaction with the product. One of the most frequently mentioned benefits of the Bosch blade is its ease of installation. Installation is simple, requiring the customer to simply perform a couples of clicks to remove the old wiper blade and mount the new one in its place. Reviewers commented positively that the Bosch Original Equipment Wiper Blade was a perfect match for the old blades that were being replaced. Reviewers also commented that the price offered online is just about one third the price many dealers charge, which often also includes installation fees. However, some reviewers did complain that, despite assurances to the contrary, the Bosch Original Equipment Wiper Blade did not fit their vehicle. Some reviewers mentioned that the blade would not clip into the arm properly. Apparently, changes in manufacturing design in some cars may be partly responsible for this problem. Other reviewers reported that the Bosch blade works well when it’s raining steadily, but that intermittent rain leads to squeaking noises and jerky movements. Streaking, jumping and chattering were also cited as problems with the Bosch Original Equipment Wiper Blade, especially after just a few months of use. Most reviewers, however, expressed satisfaction with the performance of the Bosch Original Equipment Replacement Wiper Blade. Many said that these blades worked as well as the wiper blades that originally came installed on their vehicles and that they would purchase another set of the Bosch blades as soon as the current set wore out. The Rain-X Latitude Water Repellency Wiper Blade is unique in its design because it applies a water-resistant coating to a car’s windshield every time it wipes across the glass. The blade itself is designed to maintain contact with the windshield with the help of its special contouring properties that conform to the windshield’s curvature. The blade stays in contact with the windshield no matter how much wind force is placed on it due to its aerodynamic spoiler, which also reduces the amount of noise the blade makes when it is in use. Finally, a specially-designed squeegee made of a synthetically-blended rubber material provides peak performance in all kinds of weather conditions. The Rain-X Latitude Water Repellency Wiper Blade sells for $23.99 retail, but can be purchased online for about $17, a savings of almost 30 percent. While this price is lower than for other all-weather wiper blades, customers need to note that this price is for one blade only. 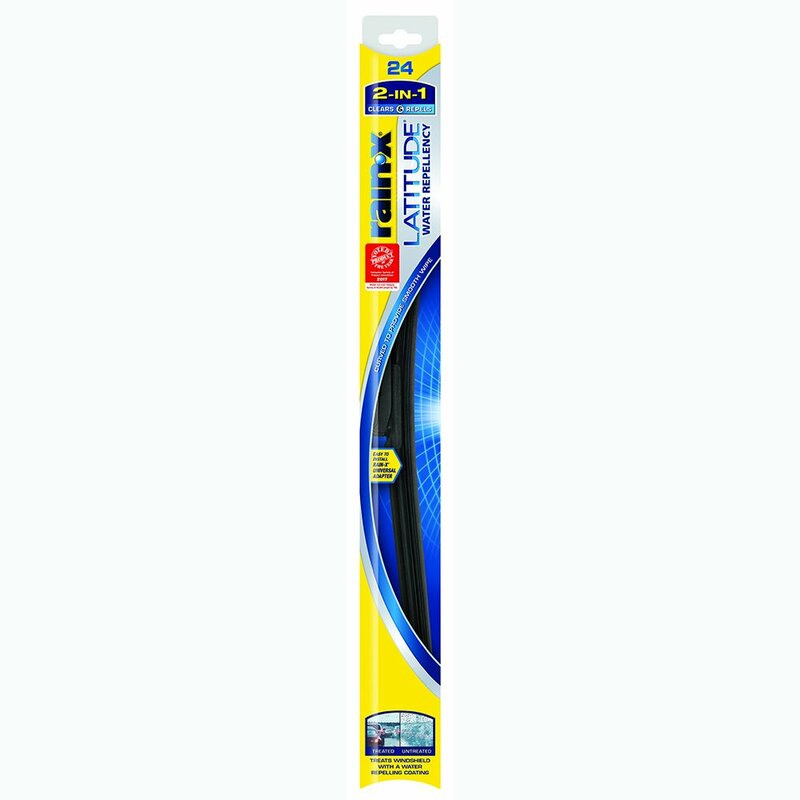 The Rain-X Latitude Water Repellency Wiper Blade is not sold in a set of two, as many other windshield wiper blades are. The individual blade weighs 6.4 ounces and is 24 inches long by 1.1 inches wide and 2.6 inches high. Although the highest ratings were given to the Rain-X Latitude blade by little more than half of the reviewers who commented on this product, those who were happy with their purchase claimed almost universally that the Rain-X blade did the job it was meant to do. Reviewers said that the blade was long-lasting, and even more importantly, did not streak when clearing rain or snow. Instead, reviewers say, water droplets bead up rather than streaking, resulting in much clearer vision for drivers in inclement weather. The Rain-X coating on the blade that is transferred to the windshield whenever the wiper blade is used offers the extra benefit of requiring less actual windshield wiper use during rain or snow. As a result, the wiper motor and blade connector don’t wear out as quickly. The blade doesn’t squeak as it works, reviewers report. The ease of installation is another feature reviewers found beneficial. Instructions were easy to follow, and video instruction is even available for someone who needs to get a visual idea of how installation should occur. Even car owners who aren’t mechanically-minded can easily replace their current windshield wiper blade with the Rain-X Latitude Water Repellency Wiper Blade. But, of course, no product is perfect, so there are some drawbacks to the Rain-X blade, according to reviewers. One of the most cited problems with the blade is a white streak that is left on the windshield whenever the blade makes a pass. It quickly goes away, but some reviewers weren’t happy that it was present at all. Some of them guessed that the presence of the Rain-X product on the wiper blade might be the reason for the streaking. Others reviewers complained that the adapter that allows car owners to attach the wiper blade to the car’s blade arm is unusually bulky. Although the wiper blade connected properly to the blade arm, the appearance of the large universal adapter wasn’t appreciated by some reviewers. The company claims that the Rain-X Latitude Blade will fit 96 percent of the cars on the market, but several reviewers say they apparently owned vehicles that were part of the four percent the Rain-X wiper won’t fit. The performance of the blades, according to reviewers, did not measure up to what was advertised. Rain-X Latitude blade tended to streak, particularly in light rain events, and often slipped or even stuck to the windshield to the point that it became nearly useless. Car owners looking for an inexpensive windshield wiper blade should look no further than the ACDelco Advantage All Season Metal Wiper Blade. Sold as a single blade, the ACDelco blade costs just $6.30. It’s a blade that is all metal which helps it hold up better to long-term use. The blade’s wiper features are precision fitted to help it perform more quietly and effectively than similar all-metal wiper blades. The ACDelco Advantage All Season Metal Wiper Blade weighs just 3.2 ounces and is 22.1 inches long, 1.7 inches wide and 1.5 inches high. 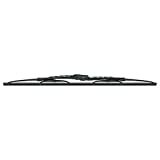 This wiper blade boasts a universal fit that makes it ideal for nearly every make and model of car on the road today. Its dogleg design helps the ACDelco Advantage blade hug the windshield of a car much better than many other all-metal wiper blades, especially important for high-wrap vehicles. Seven out of ten reviewers said that the ACDelco Advantage All Season blade is an excellent choice when a car owner needs to replace his windshield wipers. Reviewers report that the ACDelco All Season blade works well, doesn’t leave streaks and doesn’t make noise as it operates. Even heavy snow and high winds were no match for this wiper blade, which reviewers said performed well in 18 inches of snow and 85-mile-per-hour winds. Installation was also cited as a benefit of the ACDelco All Season blade. Most reviewers said they simply needed to snap the ACDelco All Season blade onto the wiper arm. No extra installation work was needed. Reviewers also reported that the ACDelco blade held up well to repeated use over time, when compared to similar, higher-priced wiper blades. Some reviewers, however, reported that the blade doesn’t fit the wiper arm pin at all or doesn’t latch properly so that the ACDelco All Season blade can work its way out of the wiper arm. Other reviewers report that the blade can begin leaving streaks after just a few months of use. Some reviewers reported that the wiper blade had to be replaced sooner than expected. Overall, though, most reviewers were pleased with the performance of the ACDelco Advantage All Season Metal Wiper Blade. The blade stands up well to rain, ice and snow and is an excellent bargain for car owners who don’t want to spend too much on replacement windshield wiper blades. There are a number of reasons car owners might want to consider buying beamless windshield wipers rather than traditional metal windshield wipers. Although they are generally more expensive, beamless wipers, also called frameless or bracketless wipers, offer a number of advantages over conventional wipers. Beamless wipers offer a lower profile on the windshield than conventional wipers offer, which means it’s less likely that the wipers could be damaged. Beamless wipers are also designed to be more aerodynamic, resulting in less wind lift that can pull the wipers off the windshield. Today’s cars feature windshields that are highly curved, something that these beamless windshield wipers are designed to handle. They stay in contact with the windshield, something conventional wipers aren’t able to do so nearly as well. This improved contact results in a lower level of noise and chatter in addition to better cleaning capabilities. 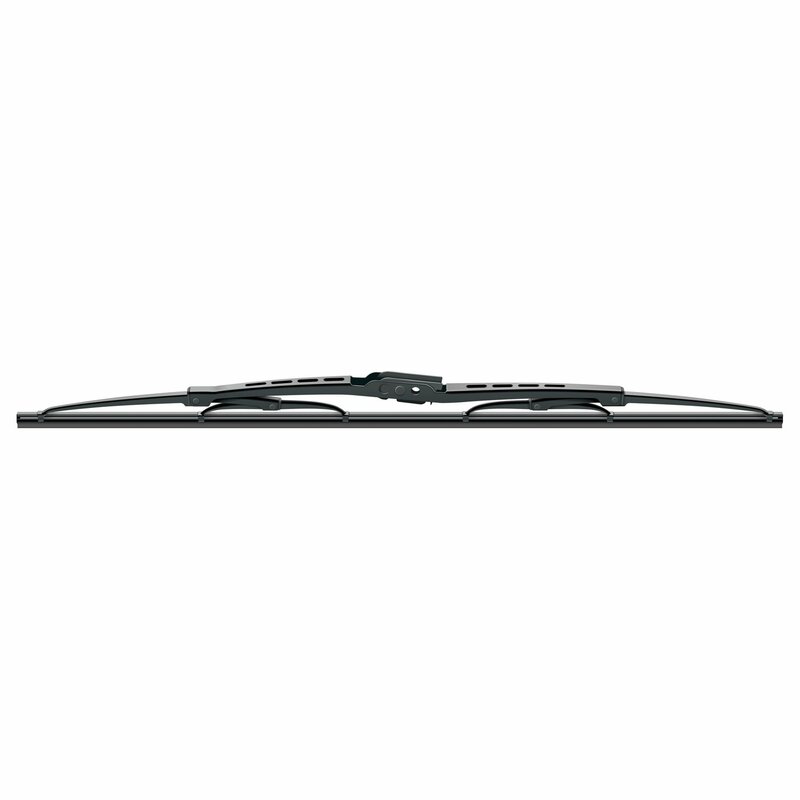 For decades windshield wiper blades have been made of rubber, and many still are. However, many car owners are discovering that silicone wiper blades can be a better choice for several different reasons. In particularly hot climates, where scorching sun blazes down day after day, silicone wiper blades hold up much better to high temperatures than rubber wiper blades ever do. Car owners who enjoy off-road activities say that silicone wiper blades are the best at removing mud and dirt from car windshields. Although silicone wiper blades are definitely more expensive than rubber blades, they’re worth the extra price in these situations. Many traditional windshield wipers with frames work well for the majority of drivers around the country, but people who live in areas that get a lot of inclement winter weather must consider whether their windshield wipers can stand up to the demands put on them to clear ice and snow. Winter windshield wipers, which, like snow tires, are installed in late fall and removed in the spring, are manufactured to prevent snow and ice from building up on the wiper’s frame which causes it to have to work harder. Today, frameless or beamless windshield wipers that work well in all seasons are making the decision to install winter wipers a moot point for most drivers. Different car manufacturers have developed different ways of connecting windshield wiper blades to the blade arms. The most popular types of connectors are the hook-slot connector, the pin-type connector and the straight-end connector. The hook-slot connectors can come in different sizes as well. It’s essential that a car owner know what kind of connector his or her car uses before he prepares to purchase windshield wiper blades. It will save him the frustration of having to return wiper blades after discovering that the blades he originally purchased won’t attach properly to the blade arm. It might seem more economical to simply replace the rubber (or silicone) section of the windshield wiper blade when the old blade begins to tear or malfunction. However, experts recommend against this. Part of the reason is because the replacement wiper must be exactly the same as the wiper being replaced. It can often be difficult to find exact replacements. Most manufacturers are no longer making rubber wiper inserts. If an insert is available, it’s not easy to replace it in the blade. The replacement process requires the use of needle-nose pliers, which can be difficult. And, as is often the case, the wiper blade arm may be wearing out too, requiring that it be replaced at the same time the rubber insert is replaced. It’s generally easier to replace the entire component at once. As one of the components of a car that is usually ignored until it starts malfunctioning, the windshield wiper suddenly becomes an essential part of the vehicle when the driver can’t see through rain, ice or snow. That’s why it’s a good idea for a car owner to have in mind the kind of windshield wiper blades he prefers before those currently on the car stop working. Once he’s determined the size he needs for his car as well as the kind of blade connector necessary, a car owner can start thinking about whether he would prefer to purchase traditional, less expensive metal blades or would rather buy more modern beamless or frameless all-weather blades. No matter which kind of blade an owner chooses, the best blade for the money will clean a car windshield well without noise or squeaks and will stand up snow, ice and sun for several months to a year or longer.